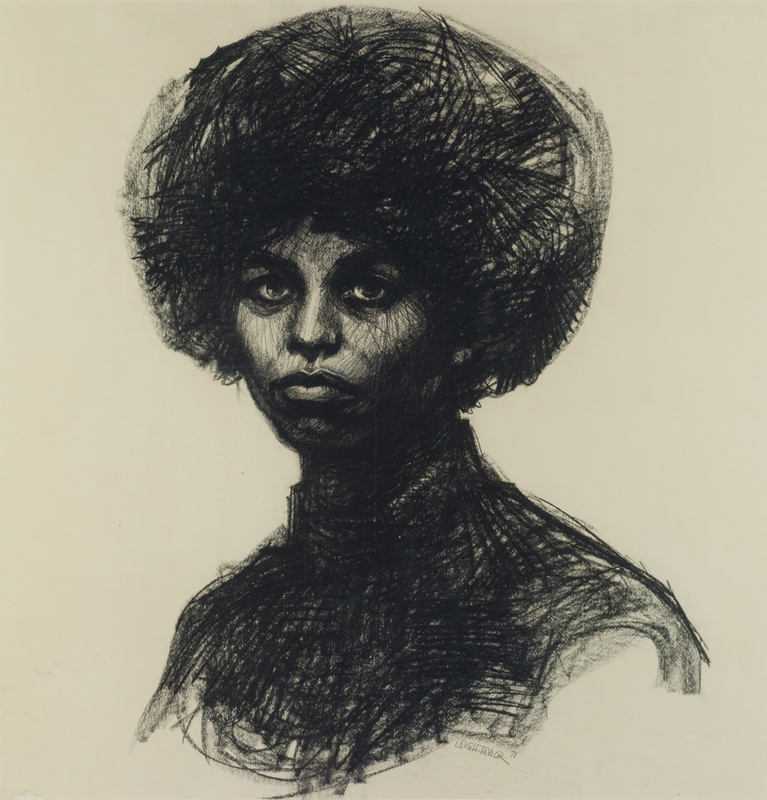 Angela is a charcoal drawing of the Black Panther Party member Angela Davis, who was arrested and imprisoned in 1970 on charges relating to the kidnapping of a judge from a Marin County, California, courthouse and his subsequent killing. Davis's case became a focal point of activism for many around the world, including Gallery 32 and its proprietor, Suzanne Jackson. "Angela." Now Dig This! Art in Black Los Angeles, 1960–1980 Digital Archive. Los Angeles: Hammer Museum, 2016. https://hammer.ucla.edu/now-dig-this/art/angela.